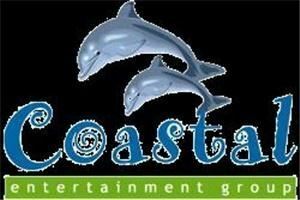 Coastal Entertainment Group specializes in PA Speaker Systems (live band production), DJ Service and Event & Stage Lighting. We cater to private events such as wedding receptions, teen & school dances, reunions, corporate gatherings, fundraisers and birthdays as well as public events such as concerts, nightclubs/bars, restaurants and community events. We're pleased to offer: Personalized, professional, yet friendly service Well maintained, well presented state-of-the-art equipment A comprehensive & up-to-date music library covering all genres Client-Only access to password protected online event planning resource We are always available by phone or e-mail to answer any questions. In fact, visitors to our web site often compliment us on how attentive and “quick to respond” we are. Great service doesn’t stop here! Allow us to continue working with you to help design, create and deliver an unforgettable event at your next party or function.